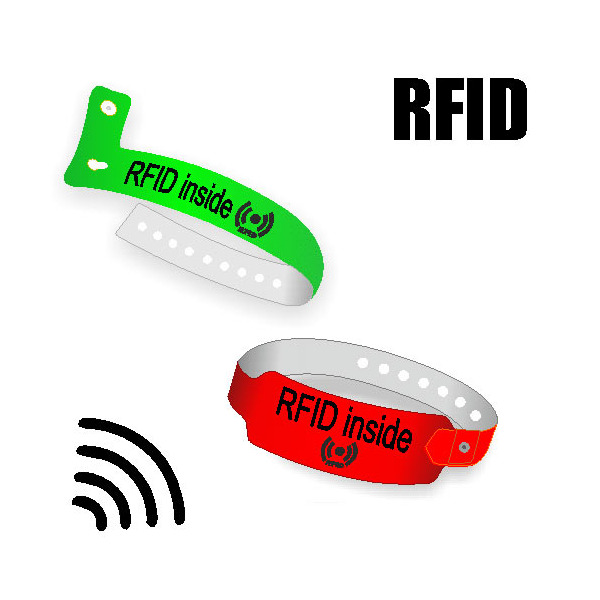 Get wierless control using high-tech RFID wristbands. Minimum order 100 plastic wristbands with RFID IC chips. Finding the right RFID solution is complex. Contact us and we will help you find the right RFID chip for the right price. Send your information via eMail or Form. Printing; 1 or 2 colors silk screen printing. 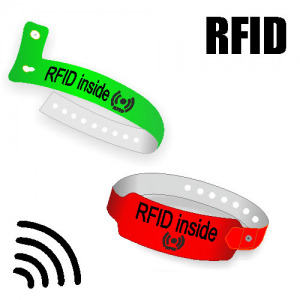 Embedded RFID chips into the wristbands - the chips are incapsulated inside the wristbands and are covered with Vinyl. This is achieved by laminating layers of vinyl over the RFID chip. If you can't find the RFID chip you are looking for in the list, please contact us.